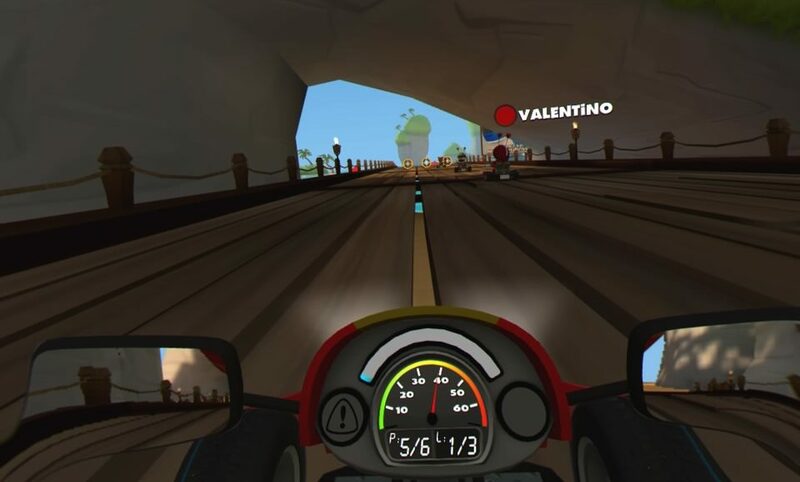 Anyone who has played a Mario Kart game in one of its many incarnations over the years, will instantly have an idea of how VR Karts plays before they first don the headset. This is a game which emulates many of its features, visuals and gameplay elements but unfortunately it fails in execution and misses Mario Karts both sense of charm and fun. These give you speed boosts….use them wisely! 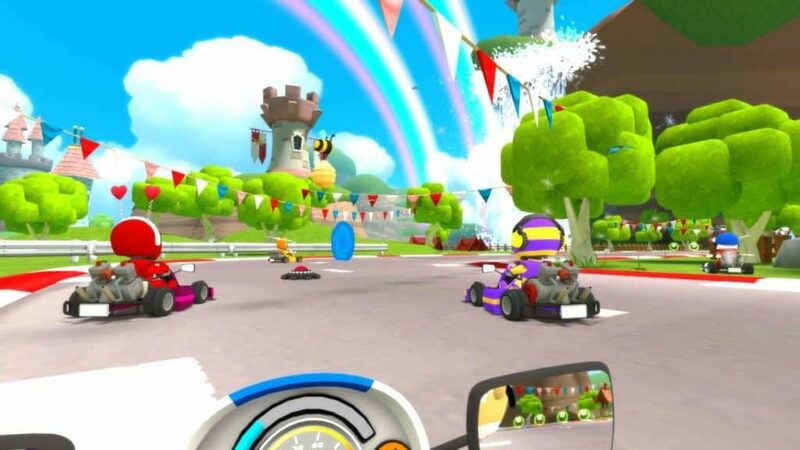 VR Karts was first released on the Gear VR a while back and I’m happy to report that it’s a much better game on the PSVR. The Gear version has snap turning rather than smooth and for a high-speed racing game that was always going to be an issue. The PSVR version has smooth turning and does indeed make the game more playable. For those that care, it’s only DS4 support available, no steering wheel, so those hoping to get some use out of there elite purchases will be sadly disappointed…I was. With the DS4 you have standard dual stick racing controls or the option to motion track the DS4, turning it into a steering wheel. The latter method works, but I found it to be a little to sensitive for my liking and defaulted back too the regular DS4 controls. The aim is to race your kart against a variety of other computer controlled drivers across 4 different cups with each cup consisting of 4 races each from a total of 12 tracks. Come first place at the end of the set of races and you will unlock the next cup to compete in. The tracks here involve mostly castle and beach themed environments with the visuals being simple, colorful, cartoony and unspectacular. Although each race features new surroundings and environments, they all do seem quite repetitive and similar to each other. The drivers themselves all look the same apart from a few customizations which you can apply to yourself and your Kart as well. These include paint jobs, designs and assortment of helmet accessories etc. The sound effects are rudimentary, basic bells and whistles and little tunes which suit the action. Your final position after a race will determine your points going into the next race. Each driver will not only attempt to overtake, but also to take out other drivers using any means necessary. These usually come in the form of weapons, with a variety appearing to you when running through a weapons icon on the track. Shields, rocket launchers and land mines are at play here as well as shooting someone, reversing their controls, opening a portal which transports you forward a great distance and placing a bee hive on driver’s helmet. When that happens to you, your view is restricted and you need to shake it off by moving your head around, which is a clever touch. The weapons play a big part and provide satisfaction when letting fly a rocket to a first placed rider or dropping a mine on someone chasing your tail. Blue speed icons pop up along the track and riding over these will fill up your boost level. A button press on the dual shock will give you a good burst of speed while your boost meter drains. Good strategy comes into play here to determine where best to use this boost to maximize its effectiveness. The other racers seemed to be plagued with some wonky ‘catch-up’ AI and I never found myself too far ahead of the pack, no matter how well I was racing, or to far behind after a terrible crash. It’s especially noticeable when another racer flies past you, not boosting than suddenly slows down for no better reason than it just wouldn’t be fair. It’s not game breaking and does add to the challenge in some ways, but I noticed it throughout my play and it just felt like something better could have been done in that department, like higher difficulty AI. All racing games are really judged on how well they handle and the sense of speed and control they give the player and VR Karts, in that respect, is nothing special. 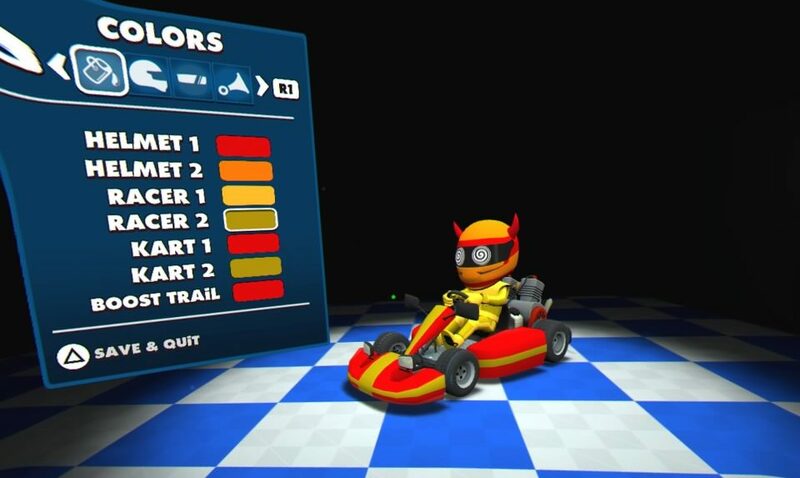 Tracks are mostly flat, with the exception of some not so steep ramps, a few levels contain water and mud slicks which cause some traction issues, but other that it’s a stock kart racer. It’s not awful by any stretch, but those looking any kind of depth or challenge will be disappointed. One side note is while the game has 4 cups, your AI opponents never get more difficult, just the courses do and they never get that challenging. The last cup just picks 4 courses at random and adds nothing to the game. Also available is ‘Turbo’ mode which speeds up the action, but is only available in single player along with Time Trial and Hot Lap modes. Customize your own karts…and then blow them up! After playing through all the cups and some time trial races, I would compare this to a 3D conversion of the original Mario Kart game. It’s not awful, and I did have fun, but the limited amount of tracks combined with the relatively easy difficulty of the AI made this feel monotonous more than anything else. It has all the fundamentals of a decent racer without ever trying to break out of that formula in any way. 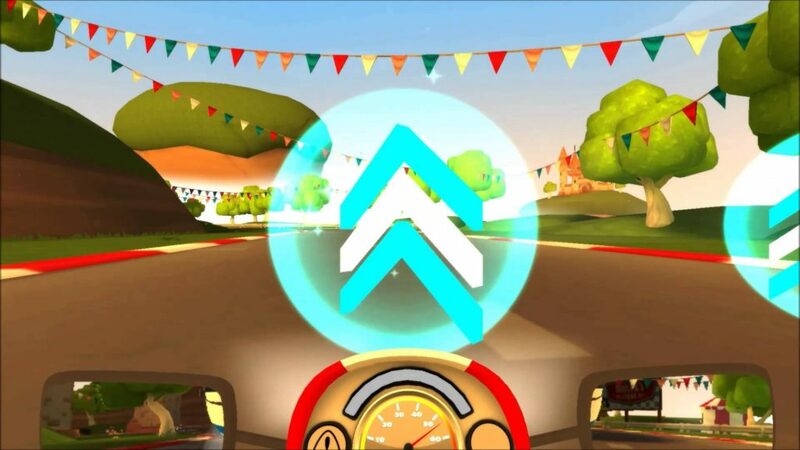 All in all, VR Karts offers a fun but flawed game and anyone willing to overlook its faults will find some fun here, but will quickly move on to other games. What would I pay? The games price has dropped since its initial launch, but is still to high by double. $15 is the most I would set aside for the game in its current state. Viewpoint Games provided theVRgrid with a review copy of this title and, regardless of our review, we thank them for that! Sounds like they killed there own game stone dead by ridiculous pricing. I have numerous headset mates who would have picked this up for 15 quid and we would of got a Friday night championship going. 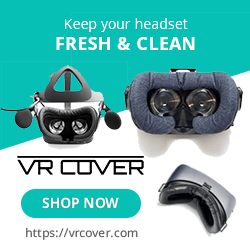 The pricing is very strange as I have found the pricing of PSVR titles to be very fair overall. Hopefully it will be on sale soon.